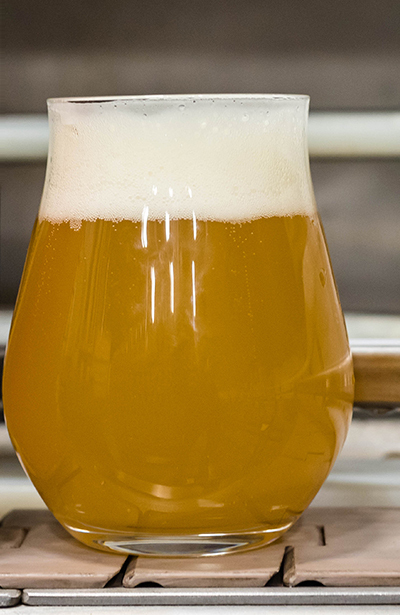 Brewed with our friends at Thin Man Brewery from Buffalo, Squeeze Across the Border is a juicy, hop filled exploration of international ingredients and ideas. A heavy handed addition of Ontario grown and malted red wheat adds a silky body and bready flavour. Massive amounts of American Cascade, Chinook, and Equinox hops in the boil and dry-hop contribute grapefruit, pine, and tropical notes. We elevated the hop character with Enigma from Australia, for a pungent citrus and white grape note. A blend of English, Belgian, and German yeasts combine notes of peach, banana, melon, and spice to keep up the fruit forward assembly of flavours!